Several years ago, I was called in to discuss training with a company in Minnesota. I said I would like to conduct a survey first and find out who were their best salespeople. I wasn’t looking for their mistakes, I wanted to see what worked and what could be the benchmark. If you watch the salespeople, you can get an idea of how the store and salespeople perform. Then you can build a training program that succeeds. You can also turn the best salespeople into superstars. There was a 43-year-old saleswoman (Eva) who out wrote everyone while working part-time. She was making about eighty nine thousand dollars yearly, working four days a week. Everyone said it was because she was pretty, flirtatious and had a great smile. I assume those were “supposedly” her secret weapons. It never hurts to look good, and to smile a lot, but I don’t know about the flirty part. I think it was a question of others being annoyed at her success. She was so good she rarely took a walk- in customer and she was always on the phone. I found her quite pleasant and all business. She wasn’t calling customers from years back; she was calling customers she had sold during the past two or three weeks. 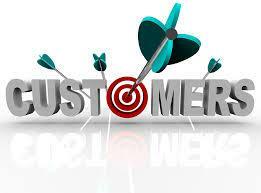 She said she loved her customers and worked hard at creating good rapport with them. Since they had spent a lot of money with her, she considered they deserved the best she could give them. She was a kitchen designer and would call and ask how the kitchen appliances were working and what they like to cook. She asked her customers for their favorite recipes and prepared a holiday cookbook for them. Too much time you’re thinking? It paid off for her. She went places no one else dared to go. Most salespeople were afraid if they called their customers, there would be complaints. That didn’t bother Eva; to her, it was a good thing. Eva said I won’t get any referrals, unless I make sure things are right, and they continue to stay that way. A kitchen cost between twenty to fifty thousand dollars and she felt she should treat them as if they just bought a Mercedes or Lexus. Since the kitchen wasn’t coming in for service, how would she know if they still liked it? She had a system, call in a week, and call in a month and again in three months. Remember their birthdays and cook dinner for one’s whose kitchen cost over thirty thousand dollars. You can trust me that no one else was doing that. She had a service called Followyourcustomer that automatically created “touch” points for her and sent them out. The cost was eighty nine cents for three hundred names. To Eva, it was all worth it. Her theory was to not let them out of her sight. Was she worried about being a pest? No. Unless they told her to stop calling, she knew she was doing the right things. On her day off, she played golf with her “best” customers. Why not she said, these were the friends she had created. Did I tell you that all of their friends were her customers also? She was all about building solid relationships. Some of you would think she was overstepping her bounds. She knew if she followed her customers literally, she would never have to wait on another stranger.